We cover the whole Southern Africa give us a call for a quote! Water storage tanks have become an increasingly important part of any household. As South Africa is a semi arid to arid country water needs to be treated with respect and caution. Managing you storage through the use of a tank is just one of the ways to ensure your water supply during dry days. Cal us on 011 791 3490 or fill out the web form and one of our team members will get in touch with you. Yield i.e. how much can you pump from the borehole and what do you expect from your pump? If you do not have this information, contact us and we will gladly assist in either guiding you to get this information, or assist you with a pump test to determine the necessary parameters from your borehole. Remember, pumping a borehole without measuring the water level in the borehole, does not give any information regarding the borehole. The team from Aqua Earth and MyBorehole.com is such a great team to work with. They are always helpful and professional. 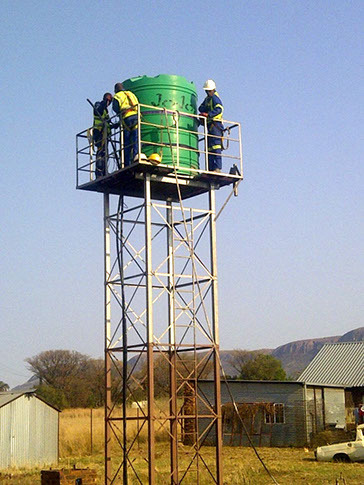 The team from Aqua Earth has helped us on many occasions to provide borehole services to our clients. We can recommend them any day. Aqua Earth for great help with my borehole. drilling division of Aqua Earth. With our smaller rigs we can get into most sites without any damage to your property or paving. We pride ourselves in our work ethics and technical competence. we are also prepared to go the extra mile — even if it takes a little bit longer. Our head office is in Gauteng, and although the majority of our drilling work is currently in Gauteng, we cover the whole of Southern Africa and have working knowledge on all the Southern African geological formations. Call us NOW on 011 791 3490 to discuss your drilling requirements or fill out the web form below and one of team members will get back to you within a day. 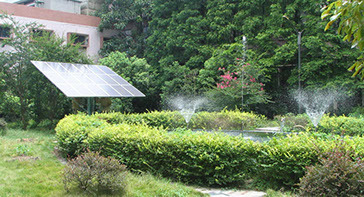 We provide Solar Borehole Pumps. With the availability of solar borehole pump technology, pumping water from boreholes for free have now become a regular feature in both the domestic water supply and farming water supply scenarios. Our solar pump kits starts at around R13000/kit - this includes the pump, control box and solar panels. It excludes the installation, cables, pipes, joints etc. 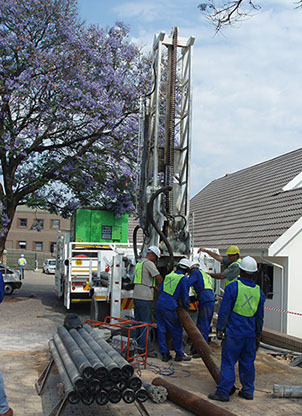 Fully installed borehole pumps at a typical 60m depth starts at about R18000. This will obviously depend on the pump installation details. Call us today to discuss you pumping requirements and we will endeavour to serve you with the best technical solution possible. Contact us today on 011 791 3490 or fill out the web form and a consultant will get back you.